Business travelers are responsible for a hefty portion of the average company’s dining spend, so understanding their behaviors and preferences is essential for anyone in the industry. Dinova has partnered with the Global Business Travel Association to deliver a first-of-its-kind study on today’s business traveler and the way they dine. Atlanta (December 20, 2018) – Dinova, Inc., the only marketplace exclusively focused on connecting business diners to restaurants nationwide, announced today that Hard Rock Cafe is the latest national brand to join its network. Hard Rock Cafe is truly a global phenomenon with 183 cafes that are visited by more than 79 million guests each year. In addition to the world-famous memorabilia that adorns its walls, Hard Rock Cafe offers collectible merchandise in its Rock Shop retail stores. There is something for everyone to enjoy on Hard Rock’s menu as each cafe offers Legendary Burgers, lighter fare such as salads and vegetarian options, and Hard Rock Cafe’s award-winning drinks menu. Dinova continues to add new and exciting restaurant concepts to its now more than 16,000 locations nationwide. Adding Hard Rock Cafe to the marketplace is just another indicator of the substantial growth Dinova has achieved in 2018. Atlanta (October 09, 2018) – Dinova, Inc., a uniquely business dining-focused marketplace, has been awarded the preferred dining program contract for the Department of Defense (DoD). This contract is part of a larger effort by the Department to grow usage of the DoD travel card to increase rebates earned and improve visibility into travel spend. Dinova’s program, which is focused on connecting diners with business grade restaurants, will launch this fall under the name DoD Dine Smart, and will apply to the DoD’s two million active duty military, reserve and civilian personnel on official travel. Of the DoD’s annual $9 billion official travel spend, TDY (Temporary Duty) travel comprises roughly 70 percent of all department travel vouchers. Whenever personnel on official travel use their government travel charge card to dine at any of the more than 16,000 restaurant locations participating in the Dinova marketplace, the DoD will earn a rebate. Those rebates will be reinvested to extend the DoD’s travel budgets. Additionally, starting in 2019, DoD travelers will be eligible to earn their own dining rewards on those same official travel meals through the myDinova Rewards program. The DoD manages the national security and military defense for the United States of America, both at home and abroad. With more than three million employees worldwide, the DoD operates in every time zone and in every climate and has a wide range of dining needs. Dinova’s enterprise and government accounts consist of 320+ organizations across the nation that send business dining employees to its more than 16,000 restaurant partner locations. The award of the DoD preferred dining program bid is another substantial milestone in the company’s overall growth for the year. Alexandria, VA (August 7, 2018) – Clear generational differences exist when it comes to business traveler dining, payment and expensing options, according to new research released today by the Global Business Travel Association (GBTA), in partnership with Dinova, Inc. According to first-of-its-kind research that delves into the psyche of the business diner, Millennials are more likely to dine on-the-go, while Boomers are most likely to wine and dine clients and Gen Xers typically dine in a group with colleagues. Contrary to popular views that Millennials are often entitled or difficult employees, they are much more likely to have reservations about ordering extras such as room service (66 percent) or coffee and snacks (70 percent) while traveling as opposed to their Gen X or Boomer colleagues – even when their travel policy permits it. When asked what diners can expense in their travel policies, 71 percent of respondents said client meals, 56 percent said group meals and 46 percent said alcoholic beverages. Additionally, 72 percent said they pay for meals with a corporate credit card. In today’s world, technology has become an essential part of how employees of all ages travel, but as digital natives, Millennials especially embrace technology and not surprisingly, are more willing to use the tools and technology made available to them through their travel programs. The research found that 63 percent of business travelers research where to dine prior to leaving for their trip. When broken out generationally, Millennials are much more likely to use Uber Eats while Boomers prefer to search for the best-reviewed restaurants in the area and use Yelp. In fact, 63 percent of business travelers have dining related apps on their mobile phone. In the last year they used their device to search for local places to eat (54 percent), to make a reservation (47 percent) and to search social media for information about a restaurant (33 percent). Eating healthy on the road has become front and center for business travelers, which is why the vast majority (77 percent) of business travelers consider it to be important when traveling. Additionally, 64 percent prefer healthier menu options and 43 percent want to see published nutritional facts. When ranking factors for choosing a restaurant on the road, three in 10 Millennials rank the nutritional value of the meal in their top two reasons. Where Are Business Travelers Dining? Dining is always on the mind of the road warrior, and the type of dining they do depends on the trip. The study found that in total, 64 percent of business travelers take their money to upscale casual restaurants, followed by fast casual (52 percent), fast food (34 percent) and finally, fine dining (29 percent). Similar to how companies have preferred airline, hotel or car rental vendors, a preferred dining program provides a list of policy approved restaurants for dining on official company business. Nearly 4 in 10 (38 percent) business travelers say their companies have a preferred dining program and a similar share (37 percent) are interested in having one. Additionally, 74 percent say they would be more motivated to use a preferred program if they earned rewards. Interestingly, 75 percent of Millennials would be more likely to become a member if rewards points could be redeemed toward their favorite charity, compared to 61 percent of Gen Xers and 42 percent of Baby Boomers. Download an infographic here with key highlights from the research. An Executive Summary is available exclusively to GBTA members by clicking here. To request an interview with a GBTA or Dinova expert for a deeper dive into this research or to see the full array of stats around business dining trends revealed in the research, please contact Colleen Gallagher. Download Dinova’s whitepaper, The Business of Business Dining, based on the research. During GBTA Convention 2018 in San Diego, GBTA will host an education session to discuss the latest trends in business travel dining and how travelers' dining preferences could affect your travel program on August 14 at 10:30 AM. GBTA’s official podcast, The Business of Travel, will also tackle the topic on November 7. The Global Business Travel Association (GBTA) is the world’s premier business travel and meetings trade organization headquartered in the Washington, D.C. area with operations on six continents. GBTA’s 9,000-plus members manage more than $345 billion of global business travel and meetings expenditures annually. GBTA delivers world-class education, events, research, advocacy and media to a growing global network of more than 28,000 travel professionals and 125,000 active contacts. To learn how business travel drives lasting business growth, visit www.gbta.org. Dinova (www.dinova.com) is the only company providing an innovative, proprietary marketplace exclusively focused on connecting expense account diners to quality restaurants nationwide. Dinova influences more than $7 billion annually in business meals and entertainment expenses. 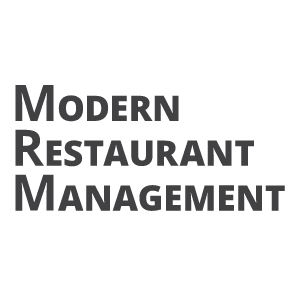 Participating companies range from millions of small to medium sized businesses to hundreds of Fortune 500 enterprises, and its 16,000+ restaurant network includes local independents as well as national full-service and limited-service restaurant brands, encompassing all price levels and cuisines. Atlanta (July 18, 2018) – Dinova, Inc., the only innovative proprietary marketplace exclusively focused on connecting business diners to restaurants nationwide, announced today that Jersey Mike’s Subs is the latest national brand to join its network. The addition of Jersey Mike’s means Dinova’s marketplace now exceeds 16,000 restaurant locations nationwide, a significant milestone. Jersey Mike’s, with more than 1,500 locations open and under development nationwide, believes that making a sub sandwich and making a difference can be one and the same. Jersey Mike’s offers A Sub Above®, serving authentic fresh sliced subs on freshly baked bread – the same recipe it started with in 1956. Loyal fans often order their subs Mike’s Way® with the freshest vegetables – onions, lettuce, tomatoes – and The Juice, an exquisite zing of red wine vinegar and olive oil blended to perfection. Since 2010, the company has raised more than $34 million for local charities and distributed more than 2 million free sub sandwiches to help numerous causes. Dinova continues to add new and exciting restaurant concepts to its now more than 16,000 locations nationwide. The addition of Jersey Mike’s is just another indicator of the substantial growth Dinova has achieved in 2018. For more information or to find a location visit www.jerseymikes.com. Atlanta (May 3, 2018) – Dinova, Inc., a business dining marketplace, today announced the appointment of Alison Galik as President. In this role, Galik will be responsible for leading the day-to-day operations as well as executing the company’s strategic plan and future growth. Galik brings more than 20 years of global business leadership in corporate travel management and technology. Among her accomplishments, Galik was most recently President at Vibe HCM Inc., where she was responsible for the success of the human capital management software firm. Prior to Vibe, Galik was Executive Vice President at Nashville-based InnLink, where she presided over a $10 million central reservation services business serving 3,500+ independent hotel customers. Her success there led to the acquisition of InnLink by Sabre Hospitality Solutions. Galik’s career runs deep in the corporate travel management space, having held executive positions at Rosenbluth International, American Express, StarCite and Lanyon Solutions. “I’m both honored and excited to be joining Dinova. Business dining is the third largest corporate T&E expense and Dinova’s winning marketplace model for both corporate clients and restaurants is a legacy I’m proud to be part of,” said Ms. Galik. Galik holds a bachelor’s degree in Management and Marketing from Rutgers University, and an MBA from Temple University. She will work from Dinova’s headquarters office in Johns Creek, Georgia. Atlanta (April 27, 2018) – Dinova, Inc., the only innovative proprietary marketplace exclusively focused on connecting business diners to restaurants nationwide, announced today that CraftWorks Restaurants & Breweries, Inc. has joined its business dining marketplace. CraftWorks is the nation’s leading operator of brewery and craft beer-focused casual dining restaurants. Their brands include Gordon Biersch Brewery Restaurants, Rock Bottom Restaurant & Brewery, Big River Grille & Brewing Works, Chophouse & Brewery, Bluewater Grille, A1A Ale Works, Ragtime Tavern Seafood & Grill, Seven Bridges Grille & Brewery, and Sing Sing – all of which serve up fresh handcrafted beer and unique, flavorful menus. The 65 lively and hospitable CraftWorks locations in the Dinova marketplace are well positioned to meet a variety of business dining needs. From one-on-one working lunches to large group gatherings, Craftworks specializes in making each guest experience memorable. “Dinova is one of our most strategic affiliate partners, given it reaches millions of corporate card holders who are known to have higher check averages given the high index of business entertaining,” says Jaime A. Vasquez, Vice President of Marketing and Group Sales. “Dinova’s network of blue chip Fortune 500 companies provides us an additional channel to help drive our Group Sales business for corporate events." Dinova continues to add new and exciting restaurant concepts to its more than 14,000 locations nationwide. The addition of the CraftWorks portfolio of brands is just one indicator of the substantial growth Dinova will achieve in 2018. Atlanta (April 11, 2018) – Dinova, Inc., the only innovative proprietary marketplace exclusively focused on connecting business diners to restaurants nationwide, announced today that Red Robin has joined its exclusive business dining marketplace. Red Robin Gourmet Burgers and Brews is famous for serving more than two dozen craveable, high-quality burgers with Bottomless Steak Fries in a fun environment welcoming to business dining guests. In addition to its many burger offerings, Red Robin serves a wide variety of salads, soups, appetizers, entrees, desserts and signature beverages. Red Robin also offers a variety of options behind the bar, including its extensive selection of local and regional beers, and innovative adult beer shakes and cocktails. It’s easy to take Red Robin anywhere with online ordering to-go and Gourmet Burger Bar catering pickups at Red Robin’s more than 560 restaurants across the United States and Canada. Dinova continues to add new and exciting restaurant concepts to its more than 14,000 locations nationwide. The addition of Red Robin is just one indicator of the substantial growth Dinova will achieve in 2018. Atlanta (February 28, 2018) – Dinova, Inc., a business dining marketplace, is celebrating another year of positive growth with the release of its 2017 results. Significantly, Dinova reports that its annual business dining spend under management surpassed $7 billion in 2017, a milestone for the nine-year-old startup. This increase comes on the heels of a great fourth quarter, in which overall spending through the company’s marketplace increased 24% over Q4 2016. For the year, the number of transactions in the entire Dinova marketplace increased by 22% compared to FY2016. Business dining is the third largest travel and entertainment expense category for enterprise and small to medium sized businesses, and it’s the most undermanaged. Dinova companies seek to harness this expense category by participating in the program. Aptly, in Q4 2017, Dinova’s enterprise accounts saw a 17% increase in marketplace spend and participating restaurants saw a 6% increase in average check size. While the restaurant industry at large saw little growth in the first 3 quarters of 2017 and a small uptick at the end of the year, it still wasn’t a good year overall. In contrast, Dinova partner restaurants saw increased traffic throughout the year from a 20% increase in marketplace spend. This boost is a product of continued adoption of Dinova’s program among corporations, and giving restaurants access to proprietary channels that would otherwise not be available. Atlanta (February 13, 2018) – Dinova, Inc., a business dining marketplace, launched a new version of its app and web search today. Capitalizing on its one-of-a-kind user base, Dinova’s online and mobile experience provide restaurants and business diners with direct access to one another through a proprietary channel that otherwise doesn’t exist. The new app and web search give users access to state-of-the-art technology that enhances usefulness and content. In early 2017, Dinova brought in Chief Technology Officer Danny Davis as part of its renewed focus on improving the digital user experience. Davis’ team was tasked with creating a unique dining interface that allows business diners to explore the more than 14,000 restaurant locations in Dinova’s marketplace. Considering the unique use cases of business diners across the entire industry, the new app offers a robust keyword search, quick access to catering and private dining options, and provides information on special dietary offerings from each restaurant. These features are also accessible on Dinova’s web search as another user access point – their desktop – when planning trips, in-office catering or client meals. Dinova’s new app is available in the Android and iPhone app stores. Atlanta (January 9, 2018) – Dinova, Inc., the only innovative proprietary marketplace exclusively focused on connecting business diners to restaurants nationwide, announced today that Newk’s Eatery has joined its exclusive business dining marketplace. Award-winning Newk’s Eatery offers grilled and tossed salads, grilled and toasted sandwiches, kettle-batch soups and handcrafted pizzas, each made with premium ingredients such as sushi-grade ahi tuna, tenderloin steak, Atlantic salmon, imported cheeses, scratch-made sauces and dressings, and fresh-brewed Rainforest Alliance Certified iced teas. The brand is often heralded for its something-for-everyone culinary-driven menu, elevated fast casual experience, and selection of indulgent 12-layer cakes, baked fresh in Newk’s very own bakery. “Dinova enables Newk’s Eatery to grow its relationship with expense account diners, which is especially important in a traffic-challenged environment,” said Stewart Slocum, CMO of the 120-restaurant Newk’s Eatery brand. “Partnership with Dinova grows not only dine-in traffic with business diners but also catering, to go, gift card and gifting business lines." With the start of the new year, Dinova continues to add increasingly diverse restaurant concepts to its more than 16,000 locations nationwide. The addition of Newk’s Eatery and its 120 locations is just one indicator of the substantial growth Dinova will achieve in 2018. Red Robin has joined Dinova, Inc.'s exclusive business dining marketplace.